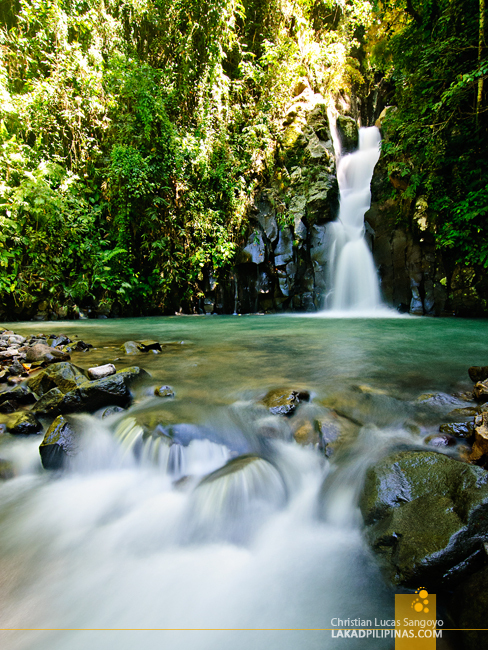 It’s been my goal to visit, photograph and swim at every single waterfall of Mambukal’s famous Seven Waterfalls since my first visit to the place several years back. It’s been almost three years to the day since I first set foot on the mountain resort and swam on its cold, deep green basins; and now I’m back, determined to finish what I started. We didn’t have that much time to go wandering about once we reached Murcia’s Mambukal mountain resort. We immediately contacted our guide and decided how to tackle the waterfalls. There are actually two options in going about it, climb it up or climb down. My choice was to climb all the way to the seventh falls and then ride a motorbike or habal-habal back down to the resort through the back road. But most of my fellows we’re more inclined on doing it the other way around since they thought it would be much easier with gravity on your side. I explained that it might be easier in theory, but climbing down is usually harder and more dangerous, especially with steep inclines and slippery rocks. Doing an uphill trek might be tiring, but it’s more manageable than a downhill hike. I eventually managed to convince them and off we went. 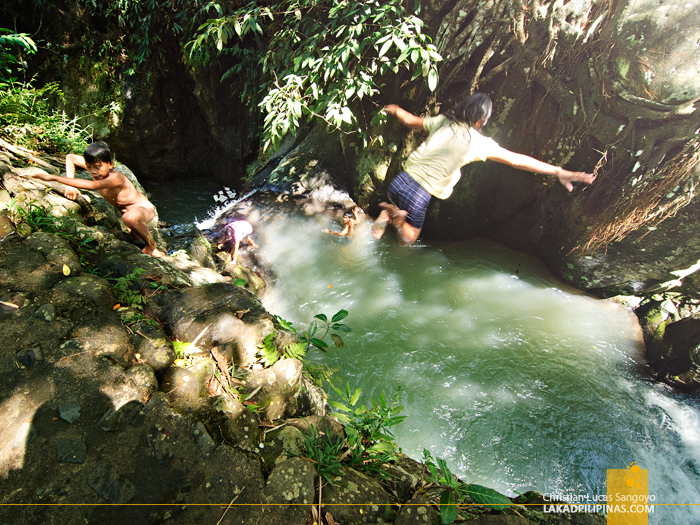 The first waterfall of Mambukal is about fifteen minutes away from the jump off point. The trail is a mixture of dirt path and rough stone steps, some of the treads of which rises to more than three feet high. 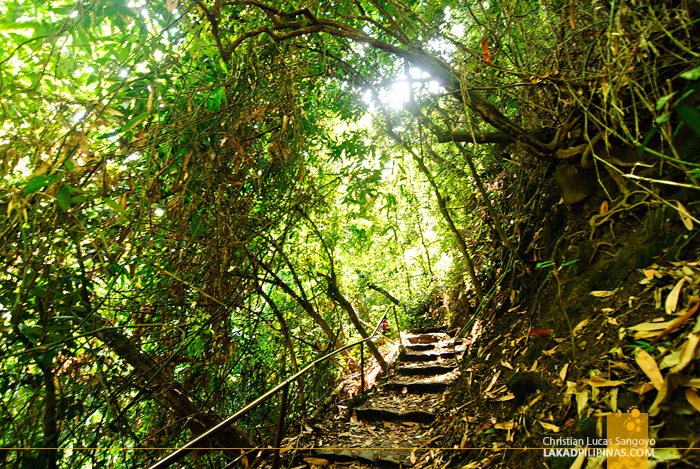 My friends now saw the wisdom of doing the trek uphill; just imagine traversing this path from above with a heavy camera and whatnots dangling from your body, one slip and you’d probably have an expensive paperweight on your office desk. 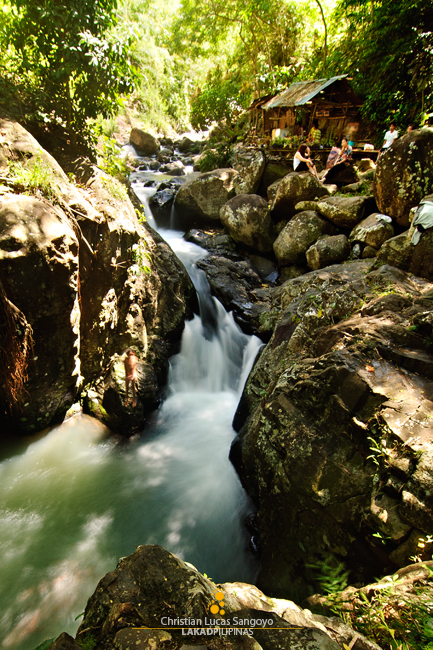 It was a lot quicker that we anticipated, Mambukal’s first waterfall came into view about twelve minutes into the hike. I remember swimming at this place during my first visit, but it has now been prohibited due to the loose rocks falling from the cliff face off the side of the falls. We took a few photos and moved on after a few minutes. We reached the second waterfall after eighteen minutes of uphill hike. This is the first time I laid eyes on this fall and it didn’t disappoint. Its basin is quite small but even if we wanted to swim, the viewing area is fenced off. You can look but you can’t swim. 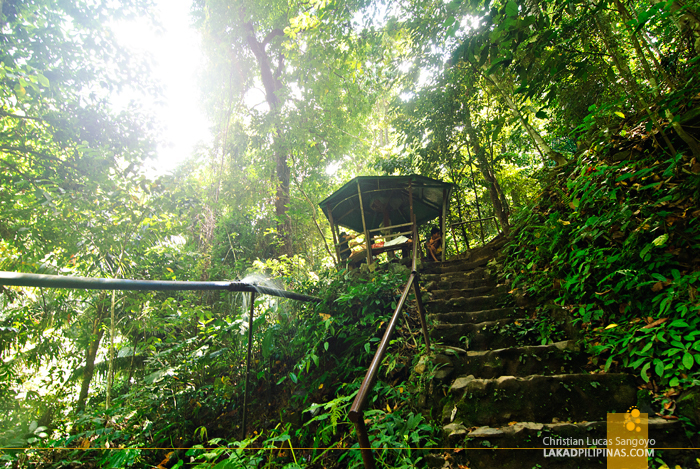 Rising to a lofty height, the third Mambukal fall is probably the highest of them all. It has a pretty large (and probably deep) basin but the viewing area of the waterfall is located a few meters higher than it. So visitors are actually looking down from the vantage towards the falls and I’m unsure if there’s a way to access it from below. 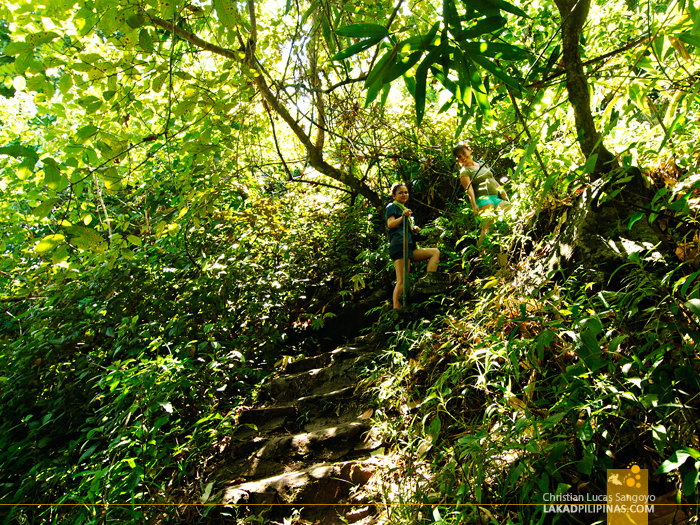 As we trudged along the trail, our guide explained that Mambukal’s fourth waterfall was inaccessible due to a recent storm. And that’s just too bad, I so wanted to complete Murcia’s series of waterfalls once and for all. 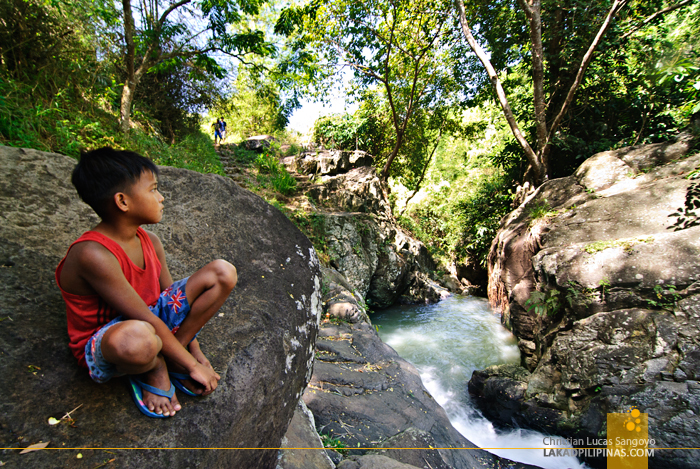 I saw a kid soar through and air and dive into the emerald waters some feet below. After twelve more minutes of walking, we were now on the fifth and sixth falls of the mountain. The diving basin forms from the gushing water of the sixth falls. Mambukal’s fifth waterfall is unphotographable unless I’m going to follow the kids; dive down the cliff with them, stand at the edge of the basin and use a waterproof camera to shoot it from above. I would’ve done so too, if not for the almost vertical climb back up from the basin. 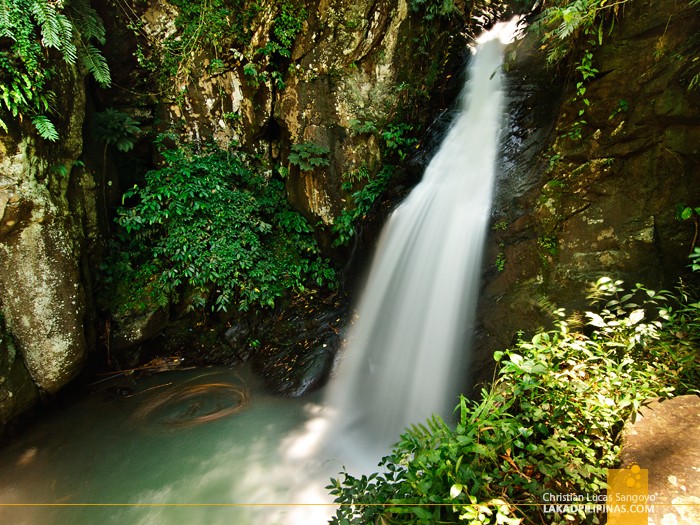 From the same high vantage point, one can also see the sixth waterfall of Mambukal. It’s not that high and the basin is swimmable. It’s hard to navigate your way down the basin though so jumping from the cliff above is the easiest way to do it. The trouble is how to get back up again. 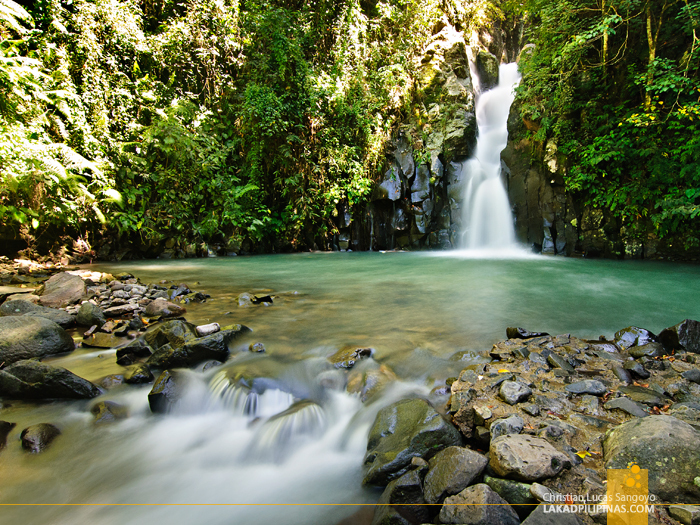 The final and seventh waterfall of Mambukal is located an hour away from the sixth one. I would’ve tried and access this last fall, but my companions were already too weary from the trek. I was actually surprised that it only took us less than an hour to reach the sixth waterfall; I honestly thought it’d take half a day or even longer. 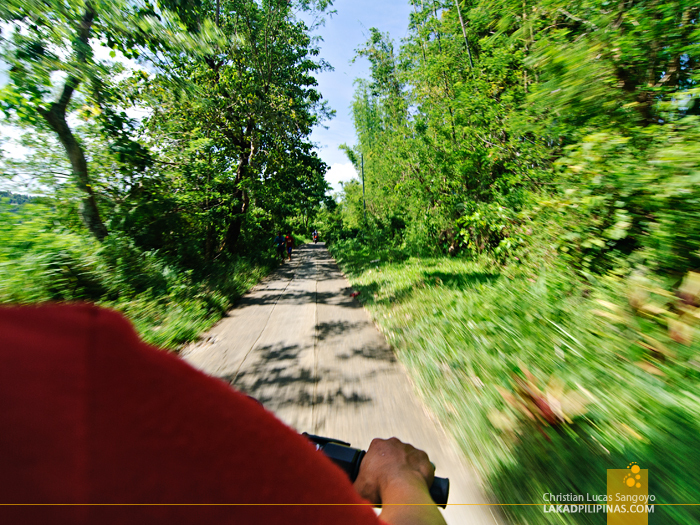 So from the sixth waterfall, we took a route to a dirt road nearby and hopped on a motorbike back to the park. I wasn’t able to complete all seven falls of Mambukal but it’s four more than my first visit. I just hope it doesn’t take another three years before I get a glimpse of that fourth and seventh waterfall. Eek, those are very brave kids! 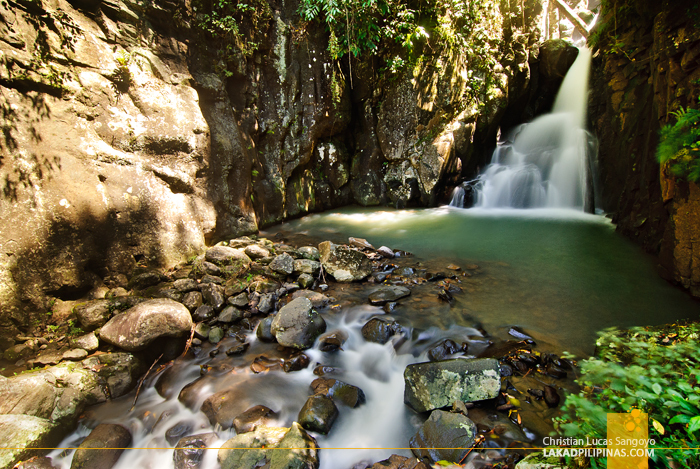 Your photos of the falls are absolutely gorgeous! Idol nmiss ko blog mo ... Wala ka p ring kupas! Da best! Best Shot - The first waterfall! Sayang yung 7th waterfall baka yun yung pinakamaganda kaso ang layo, an hour pa... mahirap yung sobrang pagod na pipilitin pa.
just an update. I was there Feb 6, 2016. 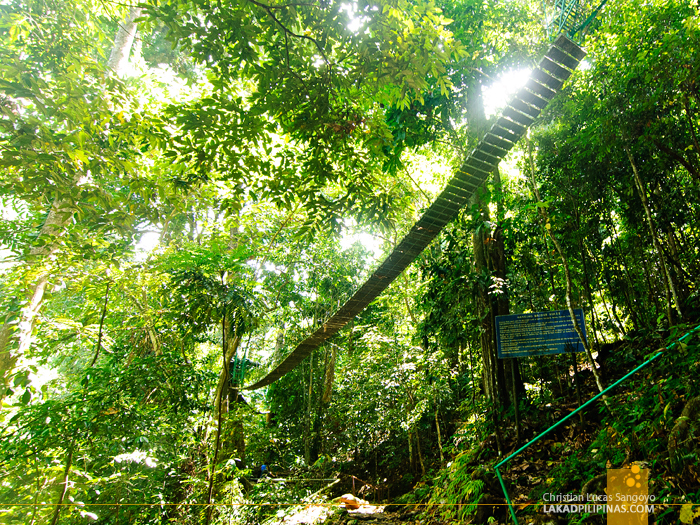 The canopy walk and 4th waterfall is still inaccessible. The 7th waterfall is NOT an hour away from the 6th. And the 7th is the best one to go to because you can swim there. It took me an hour to reach the 7th waterfall and 30 mins of trekking down, back to the resort. The guide (Sir Johnrey) and I took a different and easier trail. And he showed me beautiful sights, overlooking Bacolod. Up to the seventh falls! Wow! I guess, with Mambukal's isolation from nearby cities and its elevation, it's a good place for astrophotography.